This unique designed and managed facility is only minutes away from the Mediterranean and within walking distance of the centre of Benahavis, the world famous gastronomic hotspot of Andalucia. This facility is open to all families, including non-residents, who wish to visit the Wellness Centre, Spa, Health Facilities or gourmet restaurant. Contact them at their details, below, for information about memberships to access the wellness and fitness facilities. The Wellness Spa & Gym have been designed to reflect a premiere resort for families,. The staff have been carefully selected and managed to deliver a broad array of treatments, massages and beauty services. The fitness centre features personal trainers, aerobic classes and more. The Hills Café is a secret and magical spot run by Michelin star chef Jean Francois Job. 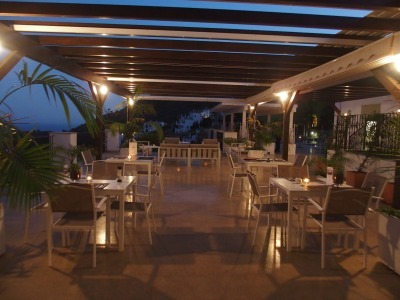 The menu features a variety of delightful fusion meals and beautiful evenings on Saturdays. They open for breakfast and lunch Tuesday thru to Sunday, when they prepare a magnificent Sunday Roast. The Rustic Contemporary Villas have been architecturally designed and upgraded to the highest specifications with spacious interior living areas of up to 757 square meters. 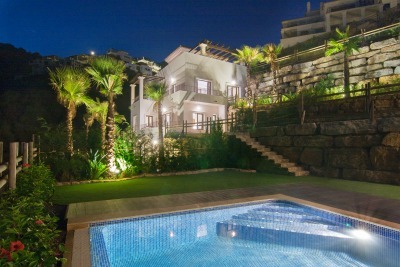 You'll find infinity pools, garden areas, designer kitchens, hydro massage baths, en-suite, underfloor heating and more. The Resort is differentiated from others by its location and amenities. You'll find luxury homes in a discreet setting amidst a sanctuary of safety and security. There is even an on-site concierge service. This unique environment is akin to living in a five star hotel where neighbours become friends and friends become family. Now you can experience the luxury and sophistication of a vibrant, healthy lifestyle surrounded by pristine nature. 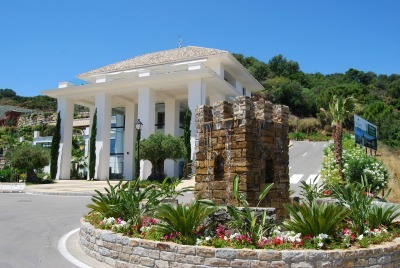 Benahavis is one among the most charming towns of the Costa del Sol and one that has become particularly popular among international families living or vacationing in Marbella. The wellness and fitness centre at Benahavis Hills Country Club includes an ​indoor heated salt-based pool, jacuzzi, sauna, steam room and outdoor pools with relaxation area and a putting green. The gym is fully outfitted with top of the line Cybex equipment and two qualified personal trainers offering induction sessions, training and advice on managing fitness. Group exercise classes which are held during week day mornings include yoga, legs, bums and tums, aqua fitness, circuit training and body sculpting classes. Therapists on staff offer everything from massages, waxing, facials, eye-lash extensions, manicures and pedicures. Individual and Family Memberships are available as well as day passes for only €30 per person, including full use of the spa​, ​gym​ and class participation​. Amenities include spa towels, robes, hair dryers, shower gel, shampoo, conditioner, body lotion and locker. Please note they do not serve breakfast on Saturdays. For reservations and details, contact Benahavis Hills Country Club at their details, below. Have a Question or Comment about this Page? Share it Below!